Paul Towers is a three-time entrepreneur and passionate supporter of the Australian startup ecosystem. As a sixteen-year-old high school student, Paul purchased his first business, a retail surf shop on Sydney’s Northern Beaches. He employed up to three staff at any one time and would work in the store after school and on weekends. Paul owned the business for almost three years, during which time he implemented a major rebranding initiative and consistently increased sales. Three years later Paul would go on to start his second business, Your Professional Resume. Built from the ground up over almost four years Paul consistently increased the businesses sales and profitability before selling it to an interstate buyer in 2014. 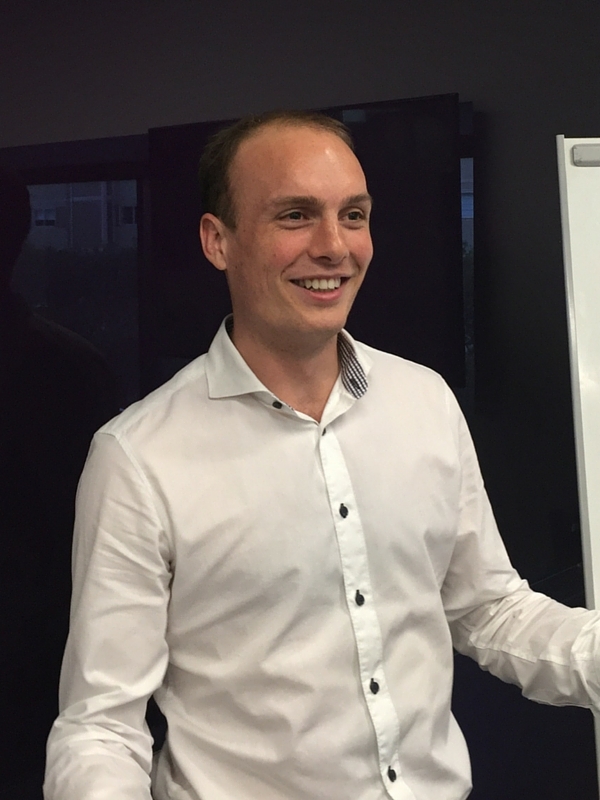 More recently Paul has gone on to immerse himself in the Australian startup ecosystem. This started with Startup Soda, a daily newsletter that uncovers the best news, blog posts and tactical resources from Australian startups, founders and VC’s. Shortly after some subscribers began reaching out for insight and advice with their own ideas and companies. As a result, Paul launched Startup Engine, a platform through which he consults to early stage startups 100% free of charge. Not content with working on side projects, Paul has also recently announced that he is working on his next major startup, Task Pigeon. Task Pigeon is a task management web app for everyday business teams (think marketing, sales and HR, not developers). As part of this process, he has committed to building an open and transparent startup and is blogging about the journey from day one. I currently have two main areas of focus within the startup ecosystem at the moment, Startup Soda and Task Pigeon. To start with I will cover Startup Soda which I launched around nine months ago. At the time I was looking for an opportunity to become more involved in the startup ecosystem. I also took stock of my own skills and attributes and identified that one weakness I had, was that I lacked a well-developed network of people I could reach out to and liaise with. As a result, I decided to share my love for great quality content with anyone who was interested and created Startup Soda to do just that. The idea was simple, share the best quality content from the Australian startup ecosystem every single day. And to do it 100% free of charge and without any expectation of return. Since then the response has been amazing. I have developed relationships with numerous startup founders, early stage employees and news organisations. This has allowed me to build my network while providing value to other people in the community. More recently I have started to pursue a startup of my own called Task Pigeon. It is a task management application that allows users to create, assign and manage the tasks their team works on every day. I am acutely aware that it is a competitive space but we are laser focused on providing a tool for everyday tasks (not large, multistage projects) and cater to business users, not developers. I also like to take a leaf out of Groove HQ’s book who decided to launch in the customer support software space despite the fact that it is dominated by Zendesk. They had the belief that, that industry was large enough for multiple players, and I take the same approach with the task management space as well. Currently, Startup Soda is 100% free of charge and it always will be for the reader. After building on the Australian version with the launch of Startup Soda London a few months back the focus is on developing a network of “Startup Soda”newsletters in major tech ecosystems across the globe. Once we hit critical mass we may choose to turn on advertising, but for now, we are just focused on identifying awesome content by the startup community, for the startup community. Task Pigeon was obviously created with the intention of becoming a large and profitable business. We aren’t doing anything out of the ordinary for our monetisation strategy and will operate on a SaaS model. Task Pigeon will have both a free tier and premium tier that caters to large teams or people who want additional integrations, such as the ability to respond to comments on tasks in-app or via email. We are still in the development phase for Task Pigeon so haven’t set a price per user just yet, but will certainly be testing various price points with potential users in the lead up to our public launch. I have so many irons in the fire at the moment that not a minute goes by when I’m not running at a million miles an hour to get things done. And to be honest that’s what excites me. I’m not content with just “trying” to do something. With everything I work on I throw all of my efforts into the project. Whether that be helping other startup founders with some advice over the phone, or working on my own projects. To narrow it down, however, the focus at the moment is on seeing Task Pigeon go from an idea to a working product and finding great people to bring on board for Startup Soda to help it scale. For Startup Soda, I would like to see us have 10 newsletters by this time next year and a subscriber base in the tens of thousands. I believe that’s very achievable. Even if each newsletter only gets 1,000 subscribers we will pretty much be there, and then we can start to do some really interesting stuff when it comes to supporting local startups with the distribution of their idea, launch, content or open positions. For Task Pigeon we will definitely have a working product out by then and if all things go to plan a growing user base that points to strong product market fit and good engagement from our users. I would also like to see the project I am running to build a 100% open and transparent startup inspire others. I know it can be daunting to put content out there, and that as startup founders we are time poor, but I truly believe in the power of the written word and know how insightful I have found the content of other transparent startups that I have followed from overseas. I’m a firm believer that entrepreneurs are born, not made. And those that are born entrepreneurs never really struggle for ideas. I believe they look at the world around them through a different lens and constantly see opportunity where others don’t. As a result, it is more about refining down that list of ideas to identify something you are passionate about and focusing your effort there. Startup Soda was a natural extension of my own passion and interest in reading about the startup community, and with Task Pigeon I have constantly had this need to be more organised, but am yet to find a solution that meets my exact needs. Our research suggests other people have this same problem, and hence I am building a solution for it. Once the core idea is nailed out I then consider myself to be hugely influenced by the lean startup methodology and strongly believe in validating ideas before going in all guns blazing and building something. I actually wrote a 9,000 word essay on this topic that I regularly refer to when speaking with other startup founders. On this track, I’m not afraid to admit that two of my earlier ideas failed at this stage. But by taking a systematic approach to validating each idea I wasted less time and considerably less money than if I built it and hoped an audience came. Task Pigeon has progressed beyond the earliest stages of validation. People are interested in what we are doing and their actions have given me the insight to take the next step with that idea. Bringing someone on board and getting to MVP in minimal time is now the focus, as is testing pre-selling the solution to show that our supporters will do more than just provide us with an email address. Here the amount of revenue generated isn’t the core focuses. Simply getting someone to pay shows that we have achieved that next level of commitment and their interest isn’t just a passing one, or a way of being polite. The biggest mentors in my life have been my mum and dad. They are not born entrepreneurs or people who have held positions of power in large national or multinational corporations. They are just hard working people who made a decision to support me and my brother with 100% of their energy and effort. A key part of their support came down to the fact that when I approached them with ideas as a child, they would never say “no”. Instead, they would ask “why”. The power of questioning, rather than squashing my thinking was one of the most important things that ever happened in my life. To explain further I can look to the time when I approached them as a sixteen-year-old high school student and said that I wanted to sink my life savings (that I had acquired from working up to three jobs at a time and investments in some ASX listed stocks I bought years earlier) into a business that I had discovered and would require me to employ a team of people. When faced with this proposal my parents didn’t say no. They asked me why I wanted to do it. I then took the time to compile the research and basically pitched them on why I wanted to buy that business. I wasn’t pitching for money or their financial help. It was made clear that I was doing this 100% with my own money (and at my own risk) but they wanted to see my thought process. And by allowing me to articulate why I wanted to do this, there was no way they could say no. I understood the risk, wanted to do it and my reasons for doing so made sense. As I touched on earlier this sole decision to say “why” and not “no” is perhaps one of my life’s most defining moments. What I learnt during those three years of business far surpassed any textbook I read, lecture I attended or interview I listened to. It was the hands-on business knowledge that you could only acquire by doing, and my parents supported my decision to explore that opportunity. I hate to think how different my life would have been if my parents had been like most others and crushed that entrepreneurial dream ten plus years ago. I thrive on being busy and am constantly active. A minute rarely goes by when I’m not doing something. People often say to slow down, but there is so much to see and do, and I thoroughly enjoy everything I work on things in the startup ecosystem. Two to three times a week I try and stay active so head to the gym and do some exercise. This is significantly less than what I used to do a couple of years back when I was running ultramarathons, but I want to keep active as much as I can and hope to dial the running up a notch or two again in the coming years. After getting exercise out of the way my initial focus is on preparing Startup Soda each day. I love reading the news and staying on top of trends so pick out the best articles as I go and included them in the newsletter for the day. I still hold down a day job in the tech industry for a global software company. I work in sales so that takes up the typical 9 – 5 work hours where I am focused on building a pipeline, closing sales and retaining customers. I use the time to and from work to improve my knowledge and listen to a number of podcasts on startups, entrepreneurship and venture capital each week. I also use lunch breaks and any other spare time to progress Task Pigeon and the growth of Startup Soda. Once I’m home again I have family time with my amazing wife and two kids. I have dedicated nights each week when I go full on hustle model and during that time I am most focused on Task Pigeon. In the past few weeks, I have gone through the process of developing our landing page, seeking initial feedback, refining the concept, taking the next step with idea validation by driving traffic to the site and starting the blog. I’m now in the process of building out some demo content and bringing on a technical lead. What challenges have you faced when starting or growing your business? The biggest challenge I have is time. I have 24 hours to get what should take 48 hours to get done, so prioritisation and working smart (and fast) is what I have to do to overcome this. When it comes to Australia itself, however, I think some people can talk the country down a little too much. It’s incredibly easy to start a business here. You can often have the safety net of working another job (or at least a part time job) while you hustle on your startup and to be honest if your idea and traction are good enough I believe there is sufficient early stage capital to get you going. Obviously, once you get to a large Series A or Series B requirement for funding the landscape is a little bit more sparse. But one would hope that if you reach that point you have the knowledge, or at least the network to get in front of overseas investors who can support an investment that large. So overall I think most challenges come from within. Focus on what you can control and I believe that everyone has a fair chance to grow their startup to scale. Everything! After focusing my efforts on building my network within the startup ecosystem in earnest nine months ago the biggest lesson I can give, is to give freely of yourself. That doesn’t mean you let yourself be taken advantage of but if you provide value to others before you ask them for help you will see a 10x investment on the time you put in. To take Startup Soda as an example, I will freely share and promote other people’s content, I offer free ads in the newsletter to Aussie startups, I promote open job positions they may have, and will take a call from anyone at any time if they have a question they want my opinion on. This has lead me to develop incredible relationships with a number of people who I never would have got in front of if I had just joined a startup Facebook group or randomly attended a few events. It has also opened up opportunities to guest post on Startup news publications and blogs, be featured in a podcast and mentor high school students. So give freely. It’s worth it in the long run. I know it’s probably a common answer but I think Canva is one of the greatest startups in the country at the moment. The fact that they have developed such a globally recognisable brand in such a short amount of time is a testament to the team over there. I also am hugely bullish on AR and VR. I think it represents a great opportunity for Australian startups if they focus on developing the content or platforms that sit on top of the hardware developed by the global giants (i.e. Microsoft with Hololens, Facebook with Oculus and HTC with the Vive). I’ve seen a number of cool things in general in this industry, but nothing really that has broken through the early stage hype/news and captured a significant amount of my attention just yet. For me I can’t help but be amazed by Elon Musk and what he is doing with Tesla and SpaceX. Again, it is probably a common answer to this question, but Elon Musk epitomises what it means to go all in on something. And despite how some analysts say it could all come crashing down one day, or that the Solar City merger is fraught with danger, you can’t help but admire someone who does things that large incumbent car manufacturers (and Governments) ignored for years. I truly believe that Elon Musk has almost single-handedly reduced the timeframe for moving to completely electric vehicles by almost 10 to 15 years (if not more), and by committing to going to Mars has re-energised not just the space industry, but also governments desire to take space exploration seriously for the first time in the better part of 30 years. Generally, though I try not to admire just one company or one founder. I try and take the best bits from everyone and focus on their positive attributes or ideas that I myself may be able to learn from. There are a number of social issues that I think Australia and the world at large continues to face, whether that is inside the tech/startup space or outside it. Seeing as I believe that tech companies are the future and will, in my opinion, be some Australia’s of largest companies in the next 10, 20 + years I feel that the industry has an obligation to also be at the forefront of affecting social change for the better. Gender diversity is still a massive issue despite the increased media attention over the past couple of years. We need to drop the notion of one job is for boys and another for girls, and just promote the fact anyone can do anything if they are truly passionate about it. Whether that means being a startup founder, early stage employee, VC, etc we just need to keep working hard to this issue in the tech space. We can’t look to other industries and say they aren’t there yet, so we don’t need to worry either. We need to be leaders in this space and show the incumbent players how it can be done. Another core element that I don’t see getting as much attention is cultural and racial diversity. There are two things that I believe can reduce racist attitudes and they both share something in common. Both tech and travelling abroad help bring our world (and it’s people together). The more people who travel and the more interconnected our world becomes the more I believe people will realise that whether you are born in Australia or an overseas land we all essentially want the same thing. A happy, healthy life with friends and family, the chance at an education and an opportunity to do something with our lives. Beyond that I really see tech playing a big role in tackling the myriad of other issues our planet faces including poverty and global warming. Overall I am extremely bullish on the future of humanity. When smart people, technology and a desire for change come together I think almost anything is possible. I think the charity sector is one area where tech could make a significant impact. Too many large charities work like incumbent companies that get away with gobbling up a significant portion of their donations as administrative costs. That’s why I choose to find opportunities to get the money direct to the source of the issue or person in need. Beyond my own…. I read copious amounts of material, easy day so use Feedly to collate all my RSS feeds and then Pocket to save things that are particularly interesting for later. I can’t list every site I read as it would literally be 100+ sources. For high quality journalism on US politics I enjoy reading Politico, especially their in-depth pieces in Politico Magazine. Beyond that, I’m going to say Youtube, because it is a website that can teach you the basics of almost any subject in minutes and the democratisation of education is a concept that I believe can fuel the next wave of economic growth in emerging markets. If you or your startup produce great content email [email protected] so we can look to feature it in our daily newsletters. This is literally free advertising for you and your business and I’m amazing at how few people take us up on this offer. For Task Pigeon we will be looking for beta testers shortly so you can register at www.taskpigeon.co. Eventually, we will be looking for funding so if you an Angel Investor or VC and want to start a conversation I would, of course, be happy to speak and start building a relationship now, so we know each other better when we do go to the market to raise a seed round. And in general, I’m open to speaking with anyone in the Aussie startup ecosystem. So no matter what you want to talk about just reach out and let’s chat. We’re aiming to build a community of Australian idea makers helping each other. If you could have one question answered about startups, marketing, social media, accounting, monetisation, product development etc. What would it be? In the early stages of a startup, I find three things take up the majority of the time, development, marketing and sales. When you choose to bring on your first hire or two how do you prioritise between these three equally important (and time-consuming) functions?